With experienced attorneys, Angel Coil and Bartlett is one of the most trusted law offices in Bozeman, MT. Our team of lawyers and legal counselors serve your needs with a brain-trust unmatched by smaller attorney offices and the flexibility unseen by larger law firms. 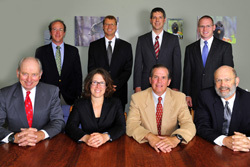 Our Law firm serves a wide variety of needs throughout the state of Montana.